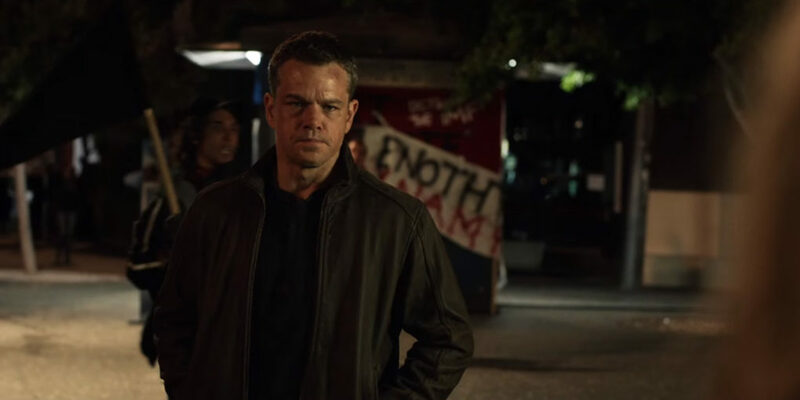 This week, we’re running through streets and hopping on motorcycles as we dive through the latest installment in the long-running series of Jason Bourne movies. This one is just called Jason Bourne, y’know, like Rocky Balboa or Rambo. Is this the definitive entry, or have they gone back to the well one time too many? After we wrap up that discussion, Greg logs on to the deep, dark web and climbs up on some buildings to check out NERVE, the new film from the directors of Cat Fish. Then, we talk about some High Flying Birds and reveal a new punishment album, plus roll for a new movie. Before that, we dive into some listener mail, discuss the new M. Night Shyamalan trailer, take off with the new The Rocketeer news, and continue our discussion about Stranger Things, Casey revisits Lucky Louis, plus we review Wiener-Dog, The Lobster, Blood Rage, and so much more!